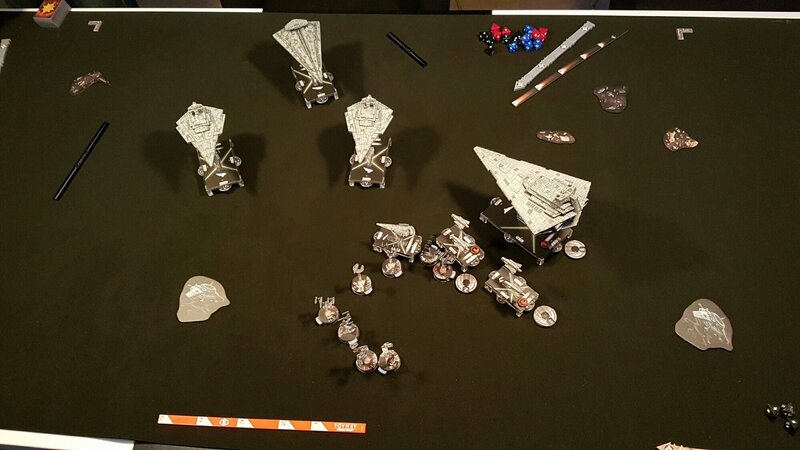 The perfect playmat when you don't want your game pieces to move around! Use this playmat under any boardgame with gameboards that are made out of separate tiles, like many Dungeon Crawlers, or games that have modular boards made out of, for example hexagon shaped tiles, such as Eclipse, Mage Knight, Twilight Imperium, Catan, Battle Sheep or tile laying games such as Carcassonne, to keep all tiles in place. This one is the perfect size for Star Wars: Armada! Material is a 3 mm high quality foam - with maximum friction.